An Earth That Expanded Answers A Lot Of Science’s Questions. Hello… The ocean floor maps above, show there is an Atlantic ridge, Pacific ridge, India ridge and one that goes around Antarctica. How is that possible if there was an island on a big world ? The right side of the Americas had to be connected to Europe and Africa, the left side had to be connected to Asia and Russia. It is only possible if the continents were connected as a smaller round object. When the earth cracked open it formed the ridges and continents. They moved apart outwardly, magma filled the space in between and we can now see how the ocean floors were formed. 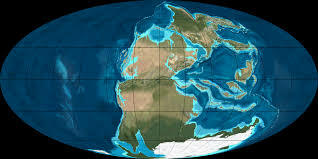 Notice the right side of Asia and all the land that is underwater in the Pacific and not apart of the new ocean floors. That land is the rest of Asia with its top washed away. This happened because it pulled directly away from north America and snapped back. There was no initial crack, a ridge between them. 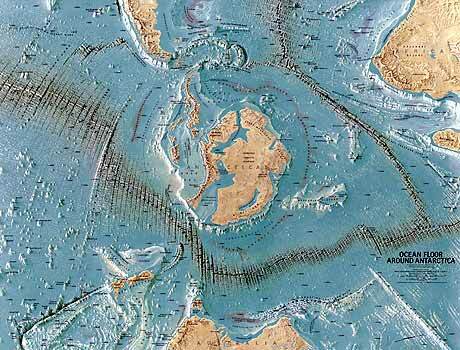 Australia’s underwater land mass fits perfect to the left side of the Pacific ridge between south America. Also the right side of Russia and Alaska were always connected. Click on above maps to enlarge – click to search, scroll up/down and sideways. The Pangaea maps show how the Great scientist incorrectly put the continents back by sliding them together on one side of the earth. They claim this was earth 300 Million years ago…???? The continents were connected on both sides and all around when the earth was smaller. We can measure the amount of expansion. Take a look at the lines on the ridges, they show the direction the continents pulled apart outwardly. Notice there is only one ridge in between the continents, not several. This means the earth expanded only once and is not expanding. 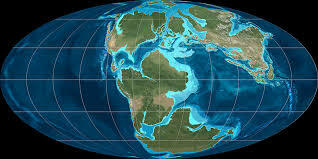 The Continents did not slide and ocean floors also point out, there are no continent snail tracks from of them moving left or right. 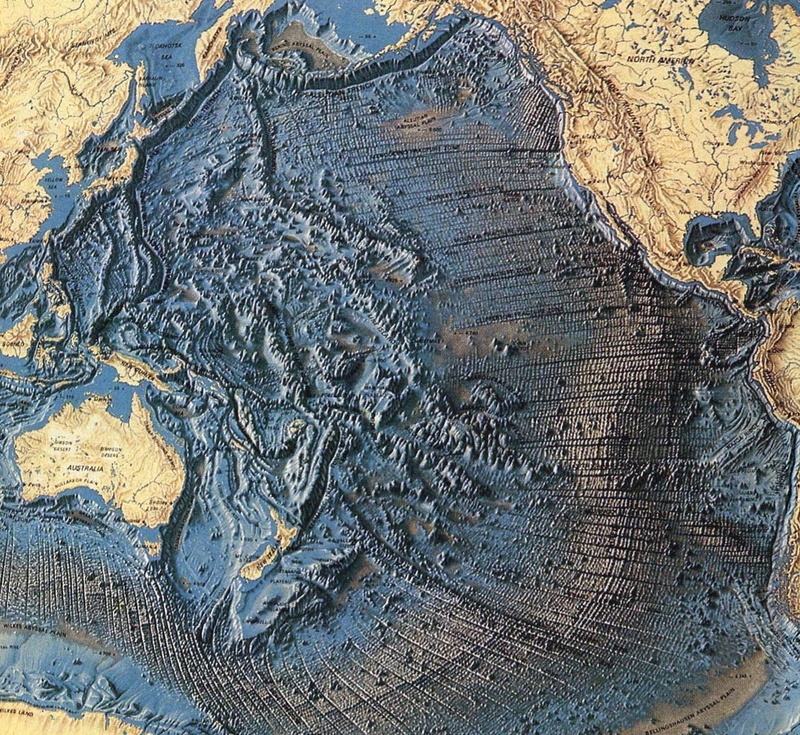 There was definitely none moving through the oceans for 100s of millions of years. 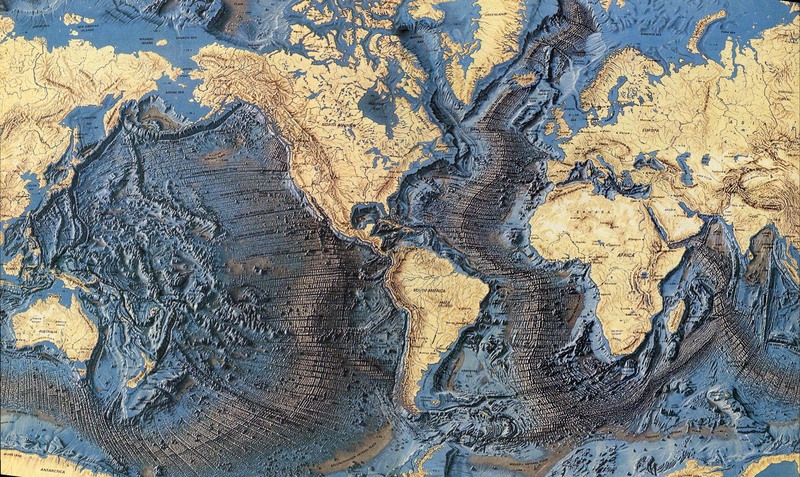 We are able to notice all the continents moved apart at the very same time, not one before another. 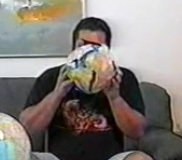 See the continents on the balloon as it expanded. See India… There is no ridge above it or to the right, it was always attached to the middle east and Asia. India snapped back and upward while also pulling away from Africa, Antarctica and Australia. This caused its high mountain ranges in India and the Himalayas. It did not drive through an ocean and slam into Asia. Also no continent could cross over a ridge. The Arctic circle is concave, from the continents lifting upwards. 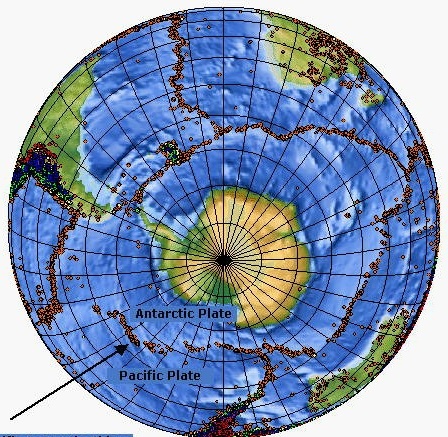 THE SOUTH POLE -Antarctica is a circle with a tear, from pulling away outwardly and south from the other continents. 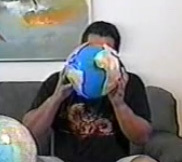 The earth takes 24 hours to rotate, showing the earth expanded one time and in one day. This happened about 4350 years ago at the time of Noah’s flood. The map shows us the earthquakes mirror the ocean ridges. Also mirrors the high mountain areas and around some on the coast lines of continents and where land is piled up from snapping back. Layers of density formed by heat cycles. Click to enlarge. There is now a wonderful opportunity to own this entire Website in 138 page, large Book form. On Sale Now. I do receive a few pennies for each book, but I am not offering them to make money. You can purchase it online at Amazon and other places. Available in many countries too. You might prefer one for its convenience. You may want to carry it with you and share it with others. A picture can give as much insight as a 1000 words. Here is a link http://www.amazon.com/Earth-Expanded-com-Explaining-Dinosaurs/dp/1505316286/ref.com I have also sent out 1000s of dollars in books, with my own money, to others for free. I will continue to do so. Diagram 1- In a two dimensional dome if it heats up at the bottom and rises…. 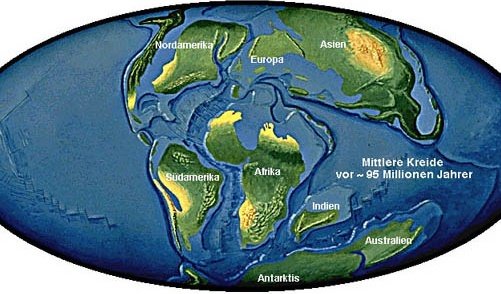 then the continents would slide left to right. Diagram 2 -In a three dimensional sphere if it heats up in the center and rises outwardly ….then the solid crust would break and expand. The earth is a sphere like diagram (2). This is because the heat cycle continues expanding the material inside and pressure builds. Soon after uplifting occurs, this cracks the crust open, forming continents. They settle inward creating more pressure and the earth expands outwardly in all directions. The magma fills in the space. Something could not come from nothing. Which means something had to make nothing. Inside an infinite space, the universe was created as a finite space. Inside it was created a 2nd space by vibration. The universe tries to closes up all around the 2nd space, because the two objects are occupying the same space. That is dark energy, which goes to the center of that 2nd space. A force is then generated from the center to the surface. It meets resistance, which causes an opposite final force back to the center called gravity. Due to the resistance at the surface, heat is generated. Then energy heat loss occurs and matter is created inside the 2nd space. Yes dark matter is created in the form of carbon energy particles and they get pulled to the center. They can be described as a particle or a wave. As a quark with light, having mass or a photon without mass. A photon’s light can be seen. Some behave like fermions and others like bosons. The 2nd space heats at the center and cools bonding the carbon particles and forms new sub-atomic particles. The energy is not the same on every particle as they are pulled together. This continues till atoms form. This causes the 2nd space to spin in the universe. The 2nd space becomes so hot and dense that it implodes into the first space. We call that the “Big Bang”. Then the material of hot gases and liquids spread outwardly through out the universe. Scientist say the universe might be expanding, but no one has ever seen the edge. So they have not been able to measure it. Some of the gas’s atoms are fused together, as others separate. Some of those atoms bond, but not with the same energy they had before. New elements were then formed. Gases like hydrogen, helium and oxygen for example. The hot gas mixtures begin to slow down as they are cooled in the cold universe. Now starting to be a mass and gather. Something had to form first after the Big Bang, the bible says it was the earth. The universe space still closes up on the things inside it, because it is finite and they are occupying its space. The gas elements are forced together, then gravity takes over forming a round object. Some of the elements form new bonds and more carbon is made. New heavier elements are formed and are pulled to the center. Some of them turn into gases because of the heat and cool near the surface. This forms a carbon based, clay, crusted earth. The lighter gasses continue to rise. Two hydrogen and an oxygen come together and water molecules form, covering the clay. Liquid water is basically condensation from the different temperatures of outer space and earth. The density of earth increases creating pressure and heat. The earth begins to spin. Hopefully you have notice this is very similar to the way I described how the 2nd space formed in the universe. Heat continues to radiated through the surface heating the water. Gases like nitrogen rise and form the atmosphere that the suns radiation can heat up. The outer space/universe stays cold, because it does not meet resistance from the infinite space outside it and has no gravity. Some scientist claim to know the age of the universe. The say they know the amount of pressure and heat it took to form rocks. They are not taking in account the subatomic and atomic particles were being pulled inward by gravity. Also the heat and pressure causing fission and fusion as the different rock material was expanding outwardly, forming layers under the crust. Causing a variance in isotopes. They also use the rate which some objects move apart in outer space. Then the rate the universe expands for measuring the distance between objects. The formula for the speed of light is used to calculate the distances, which is not constant. That is how they get the reference of time and billions of years. They are mistaken because we do not know the size of the finite 1st space or the original size of the 2nd space. We do not know the initial speed the gases first imploded from or the sizes and density of the different gas formations. Then they claim the universe is expanding real fast now. Saying it will stop expanding as it cools and it is going to collapse upon itself. Also some say it will take almost an infinite amount of time to stop expanding. Contrary to that belief is, it is not expanding. The gases initial speed and pressure become less effective as it moves outwardly in the cold universe. I mentioned there is no resistance, because outside the universe is an infinite space. Therefore no gravity to the center. It will not implode. The finite universe had a beginning. Also some of the original gases from the imploded 2nd space are still forming planets, suns, solar systems and galaxies. Which means it did not happen that long ago. We do not live in the spiral “Milky Way” galaxy, the earth was formed before it. That is why we are in near the bands of the violent and newly forming spiral galaxy. Someday we will inhabit those planets, God did not make it to be void of mankind out there. Earth was not the only planet with water. 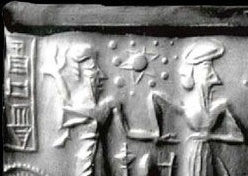 There was a fifth planet from the sun called Nibiru, it was like earth, but 5 times larger. It had lakes and seas, although when it expanded, it exploded. It is now the asteroid belt. Planets and moons with mountains have also expanded. We all have heard of “Global Warming”. It is not our atmosphere heating up because of pollution “Green House” gases made by man. One large volcano eruption can cause more carbon pollution then man has been on the planet. This is not a myth, but correct. The initial pressure that made it expand no longer exist. However the cycles continue and pressure has been building for the past 4350 years. Soon uplifting of the earth’s crust will happen again. The truth is as the center of the earth becomes denser, it becomes hotter. 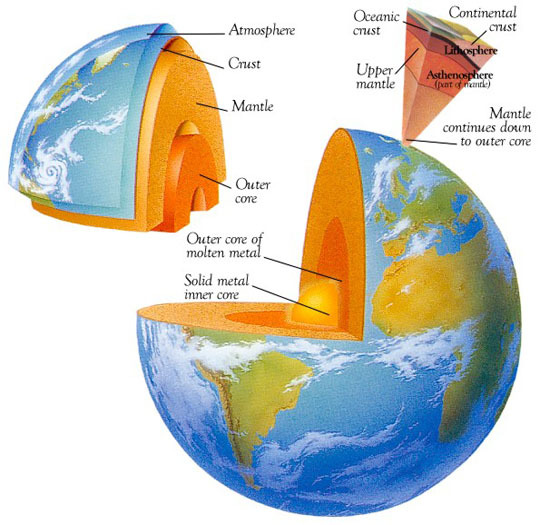 Also because layers are formed inside the earth, the total thickness volume inside becomes greater. Ocean floors are already starting to lift up and causing coastal flooding. As pressure builds up, then a lot of heat is being forced through the thin ocean floors. The oceans are heating up. It used to be a degree a decade, now its every few years. Heated water also expands increasing volume. There is also more bacteria which is causing groups of fish to wash up dead on shore. Warm ocean water is evaporated higher into the cold atmosphere. Jet streams carry the moister for longer periods of time. Winds coming from the Pacific ocean can push the air mass north and inward. 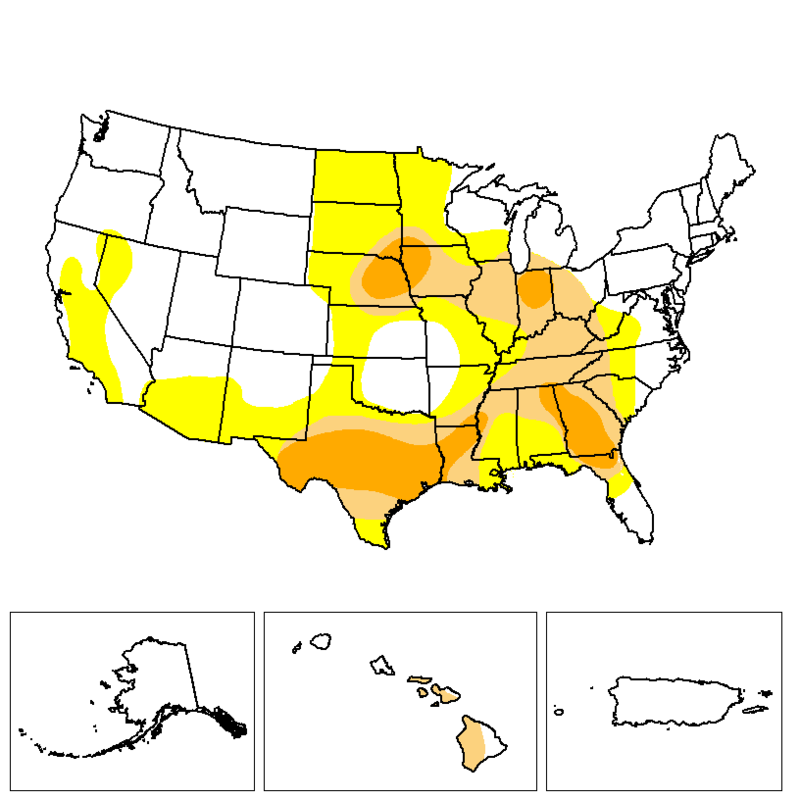 This causes droughts in the west and more hail, stronger rain storms, tornadoes and blizzard snow to the east. 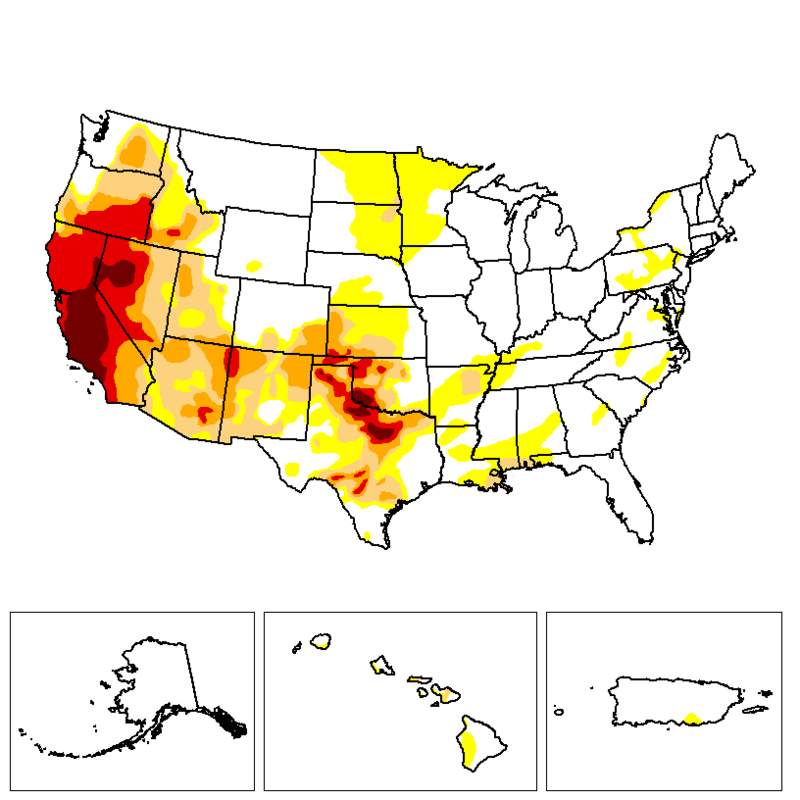 On the left is the drought in America in January 2000, on the right is January 2015. The darker red is where it is getting worse and in the east it has gotten better. In several years there will be global earthquakes, volcano eruptions and huge waves in the oceans simultaneously. People will think its the end of the world, but it is not. The crust will crack, it has to expand again, but not by much to reach a state of equilibrium. Then the next time it heats up again it will not expand. The ocean floors will lift more and most of the water will evaporate making the atmosphere thick again. We will not have storms. Earth will have abundant vegetation all over again. Once more you will be able to walk around the earth. Science is the understanding of facts, it neither proves or disproves anything. My hope is to try and find the truth and share it freely to bring us together. MORE VIDEO SHOWING THEIR MISTAKES AND THE TRUTH ON THE NEXT PANGAEA PAGE. Thank you, as an artist it was so obvious to me all these years! 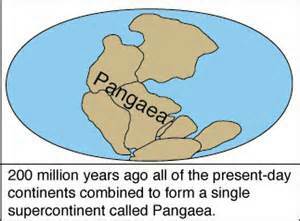 School books boast about Pangaea as a super contentment, but they incorrectly model it on today sized earth. Smaller earth, faster turning, more heat retention, greater atmospheric envelope. Held explain the earth back when the dinosaurs enjoyed a much quicker day, too, and warm fresh water oceans. etc.